Why are international climate change treaties such as the Kyoto Protocol unenforceable? Is there anything that could be done about it? 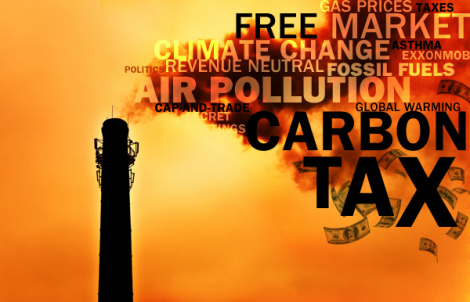 If we were to agree upon a global “carbon tax” instead, the treaty would be much easier to enforce, since firms and countries would be watching each other to ensure nobody is getting an unfair advantage through a lower carbon tax regime. It is much easier to agree upon whether the current tax rate is as agreed or not than whether an emissions target will be met in x years time. Just look at the effects of the Kyoto Protocol – nobody has managed to follow it and it has had zero consequences. International free trade agreements regulating tolls and tariffs on the other hand – they work! Violators refusing to implement a Carbon Tax could be brought in front of international arbitration mechanisms as modelled on existing WTO dispute settlement procedures, and countries refusing to sign the treaties would eventually end up being locked out of international trade. Eventually everyone would have to join the club and everyone would have to follow the rules.